Sandberg C, Joanne; Quandt A., Sara; Graham, Alan; Stub, Trine; Mora C, Dana; Arcury A, Thomas. Medical Pluralism in the Use of Sobadores among Mexican Immigrants to North Carolina. Journal of Immigrant and Minority Health 2017. ISSN 1557-1912.s 1 - 9.s doi: 10.1007/s10903-017-0660-y. Stub, Trine; Foss, Nina; Liodden, Ingrid Elisabeth. "Placebo effect is probably what we refer to as patient healing power": A qualitative pilot study examining how Norwegian complementary therapists reflect on their practice. (fulltekst) BMC Complementary and Alternative Medicine 2017; Volum 12 (1). ISSN 1472-6882.s doi: 10.1186/s12906-017-1770-8. Quandt, Sara A.; Sandberg, Joanne C.; Graham, Alan; Mora, Dana C.; Stub, Trine; Arcury, Thomas A.. Mexican sobadores in North Carolina: manual therapy in a new settlement context. Journal of Immigrant and Minority Health 2016; Volum Published ahead of print. ISSN 1557-1912.s 1 - 10.s doi: 10.1007/s10903-016-0466-3. Hervik, Jill Angelica; Stub, Trine. Adverse effects of non-hormonal pharmacological interventions in breast cancer survivors, suffering from hot flashes: A systematic review and meta-analysis. Breast Cancer Research and Treatment 2016; Volum 160 (2). ISSN 0167-6806.s 223 - 236.s doi: 10.1007/s10549-016-4002-x. Tapper, Suzanne; Stub, Trine. Case report: Acupuncture Treatment for Frozen Shoulder Resulting from Traumatic Injury. Australian Journal of Acupuncture & Chinese Medicine 2011; Volum 6 (2). ISSN 1833-9735.s 36 - 42. Stub, Trine; Alræk, Terje; Liu, Jianping. Acupuncture treatment for depression - A systematic review and meta-analysis. European Journal of Integrative Medicine 2011 (3). ISSN 1876-3820.s 259 - 270.s doi: 10.1016/j.eujim.2011.09.003. Slettli Hansen, Christel; Stub, Trine. Vil hjelpe foreldre til kreftsyke barn med å håndtere pressom å prøve alternativ behandling. 2018. Stub, Trine. Holdninger og kunnskap om direkte og indirekte risiko blant helsepersonell og alternativbehandlere i kreftomsorgen. Naturmedisin og naturterapi til hele folket 2018-05-14 - 2018-05-14 2018.
de Graf, Toine; Stub, Trine. Uitdagingen in de communicatie tussen hulperleners. 2018. Stub, Trine; Foss, Nina; Liodden, Ingrid Elisabeth. "Placebo effect is probably what we refer to as patient healing power": A qualitative pilot study examining how Norwegian complementary therapists reflect on their practice. International Congress for Integrative Medicine and Health Biennial 2018-05-08 - 2018-05-11 2018. Stub, Trine; Hanger, Mari Rian. Leger skeptiske til alternativ kreftbehandling. (data) 2018. Stub, Trine. Er det vanskelig å snakke om det? 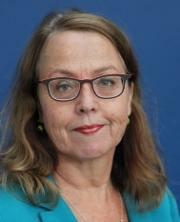 Et foredrag om språklige utfordringer når alternativ medisin og skolemedisin møtes.. Pasientsikkerhet og pasient/forbrukerorganisasjonenes rolle i utviklingen av alternativ behandling, SABORG 2017-02-16 - 2017-02-16 2017. Stub, Trine. Et forskningsprosjekt om pasientsikkerhet og kreft. Kreftsykepleien 2017; Volum 1. ISSN 0804-0567. Stub, Trine. Er placeboeffekten og pasientens selvhelbredende krefter det samme?. Naturterapeuten. Tidsskrift for naturmedisin 2017. Stub, Trine. Risiko forbundet med homeopatisk behandling: En tverrsnittstudie blant norske homeopat pasienter. Pasientsikkerhetskonferansen 2016-09-21 - 2016-09-22 2016. Stub, Trine; Røe Mathisen, Johanne. Språkproblemer når alternative medisin og skolemedisin møtes. 2016. Stub, Trine. Er det vanskelig å snakke om det? En litteraturstudie. Regional forskningskonferanse 2016-11-02 - 2016-11-03 2016. Haukaa, Karine; Stub, Trine. Er det vanskelig å snakke om det? Et forskningsprosjekt om pasientsikkerhet og kreft. Onkonytt 2016; Volum 1 (14). ISSN 1503-7886.s 58 - 60. Stub, Trine. Cancer and patient safety: Bridging the communication between health care providers in cancer care. (data) 2016. Sandberg, Joanne C.; Quandt, Sara A.; Graham, Alan M.; Mora, Dana; Stub, Trine; Thomas A., Arcury. Use of sabadores and doctors by Mexican-born adults living in North Carolina to treat musculoskeletal and non-musculoskeletal conditions. American Public Health Association (APHA) 2016-10-29 - 2016-11-02 2016. Stub, Trine. Er det vanskelig å snakke om det? Et foredrag om pasientsikkerhet og kreft. Lørdagsuniversitetet 2016-03-12 - 2016-03-12 2016. Stub, Trine. Hud i harmoni. 2015. Stub, Trine. Pasientsikkerhet og homeopati. 2015. Stub, Trine. Pasientsikkerhet ved behandling hos homeopat. Dynamis 2015; Volum 29 (1). ISSN 0801-6046.s 16 - 17. Stub, Trine. Risk in homeopathy: A cross sectional study among Norwegian homeopath patients. Homeopathy in a changing world 2015-09-25 - 2015-09-27 2015. Stub, Trine. A Commentary - Effectively discussing complementary and alternative medicine in a conventional oncology setting: communication recommendations for clinicians by Schofield et. al.. Forschende Komplementärmedizin und klassische Naturheilkunde 2015; Volum 22 (000). ISSN 1424-7364.s doi: 10.1159/000434740. Stub, Trine. A commentary - Trine Stub, Tromsø. Quality of reporting in systematic reviews of adverse events; systematic review by Zorzela L, et al. Forschende Komplementärmedizin und klassische Naturheilkunde 2014; Volum 21 (1). ISSN 1424-7364.s 54 - 55. Stub, Trine. Pasientjournal som forskningsverktøy. Seminar om forskningstilgjengelig journal 2014-11-10 - 2014-11-10 2014. Stub, Trine. Risk in Homeopathy: Classification of Adverse Effects and Homeopathic Aggravations-A Cross Sectional Study Among Norwegian Homeopath Patients. International research congress in integrative medicine and health 2014-05-13 - 2014-05-16 2014. Stub, Trine. Safety of treatment provided by homeopaths; Homeopathic aggravations, adverse effects and risk assessment. Nordisk Homeopathisk Forskningssymposium 2013-10-12 - 2013-10-13 2013. Dale, Kurt Inge; Stub, Trine. Forskningsmidler til alternativ kreftbehandling. Helsemyndighetene vil finne ut om alternativ behandling hjelper kreftsyke. Helse Nord bevilger derfor tre millioner kroner til et forskningsprosjekt. (data) (sammendrag) 2013. Stub, Trine. Et forskningsprosjekt om homeopati og sikkerhet. Møte i fagrådet til NAFKAM 2012-11-09 - 2012-11-09 2012. Stub, Trine. Presentasjon av en oversiktsstudie og fokusgruppeintervju med homeopater. Norske homeopaters landsforbund - forsknings workshop 2012-04-10 - 2012-04-10 2012. Stub, Trine. Homeopati og sikkerhet. Dynamis 2011; Volum 1 (1). ISSN 0801-6046. Stub, Trine. Homeopati og bivirkninger. Dagavisen Nordlys 2010 (300).s 3 - 3. Stub, Trine; Liu, Jianping. Acupuncture Treatment for Depression -An Overview of Systematic Reviews. 2009. Stub, Trine. Acupuncture Research from Experience to Evidence. deQI, Tidsskrift for norsk akupunktur forening 2008; Volum 3. Stub, Trine. Chronic Fatigue Syndrome. Videreutdanningskurr for medlemmene av Akupunkturforeningen NAFO 2008-03-09 - 2008-03-09 2008. Stub, Trine. Betraktinger om Masterstudiet i Sydney. deQI, Tidsskrift for norsk akupunktur forening 2007; Volum 1. Stub, Trine. Osteoarthritis of the knee. deQI, Tidsskrift for norsk akupunktur forening 2007; Volum 3. Stub, Trine. Chronic Fatigue Syndrome. deQI, Tidsskrift for norsk akupunktur forening 2007; Volum 2. Stub, Trine. Case Study: Parkinson. deQI, Tidsskrift for norsk akupunktur forening 2006; Volum 1. Stub, Trine. Multiple Sclerosis. deQI, Tidsskrift for norsk akupunktur forening 2006; Volum 3.